Keys for prophetic painting an listening to the voice of God and turning it into a painting. When you are looking for a profound spiritual way to be inspired by God to make art, this book is a key. 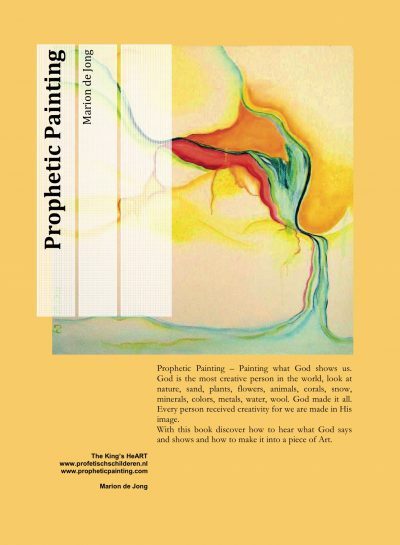 Prophetic Painting is painting inspired through the Holy Spirit. ‘Prophetic’ could be hearing from God, passing on what the Holy Spirit speaks, passing on a message, it might have a foretelling character. The Bible calls it edifying, exhorting and comforting (1 Cor. 14:3). God uses creative people to share His Blessings and Healing. 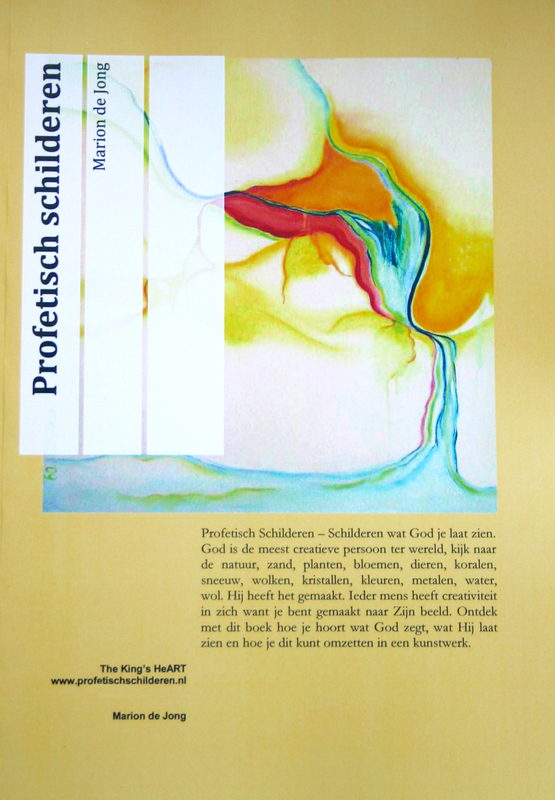 The book Prophetic Painting is available in English, Dutch and German. This book is a key for those who are looking for a way to make God inspired art. It shows how to build a deep living relationship with God through which He shows what kind of art work we can make. 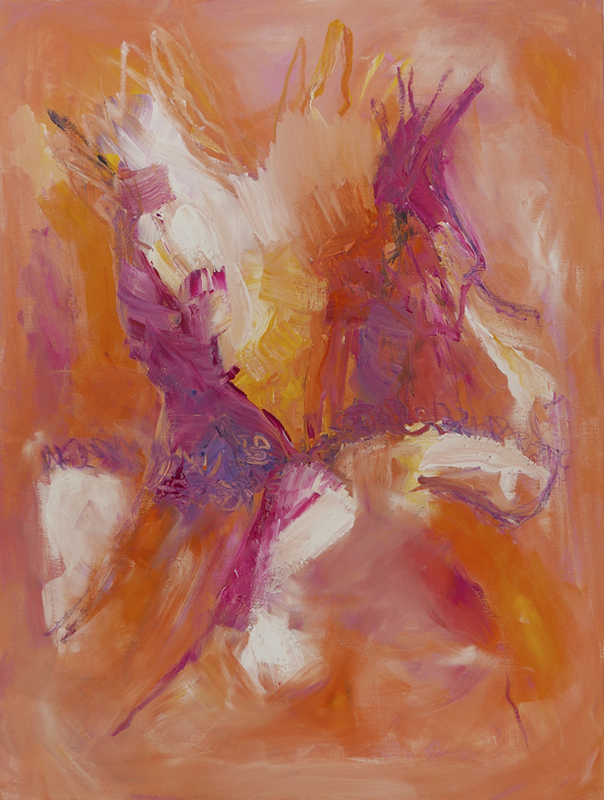 The book goes deeper into the topics handled in Marion’s prophetic art classes. The Holy Spirit is raising up the creatives to work with their specific gifts and talents. Since 2012 Marion helps churchleaders to raise an army of prophetic worshippers in their church. She has thoroughly studied and experienced the prophetic realm as well as the creative realm and turned it into a program that helps creatives grow in their gifts. Her program establishes a healthy foundation for prophetic worship and guides churches to implement the practical side. Group classes of 50+ people can attend a program that covers fundamental training and advanced training. Marion teaches in Dutch, English and German and uses illustrated presentations. Emphasis of teaching is on activating and releasing the prophetic and creative realm. Do you want to have a class in your area? Please contact. The follow-up class (2) for those who attended Class Prophetic Painting 1. We are going to work on enhancing our painting techniques and prophesying. 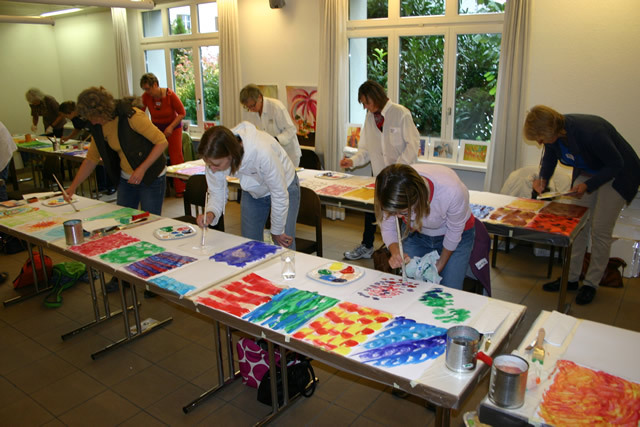 We get to know the elements of art and will practise with one of them. Central theme: Composition. We discuss some possibilities that have to do with composition and will try these. Starting point is a prophetic image/word that you have received yourself. Marion is a vivid believer that God is still speaking today. Sometimes through scripture, sometimes through a word of another person and also through arts. 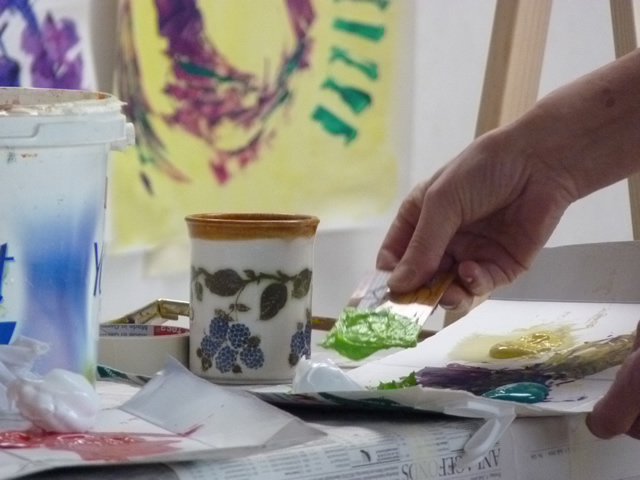 She draws her inspiration from the Holy Spirit when painting. She loves doing this in an expressive and intuitive way, both choosing the subject and expression. 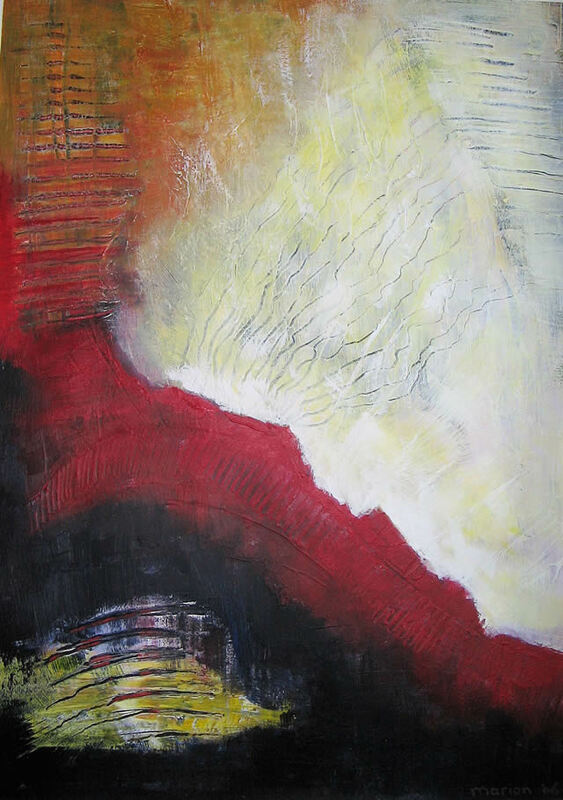 She makes both abstract and figurative designed work in mixed media oril paint. Marion is the founder of The Kings HeART, where she promotes prophetic art and teaches courses in prophetic painting. She also initiatied Dutch Art Academy, which aims to build up artists with knowledge, skill and craftmanship to make excellent art. 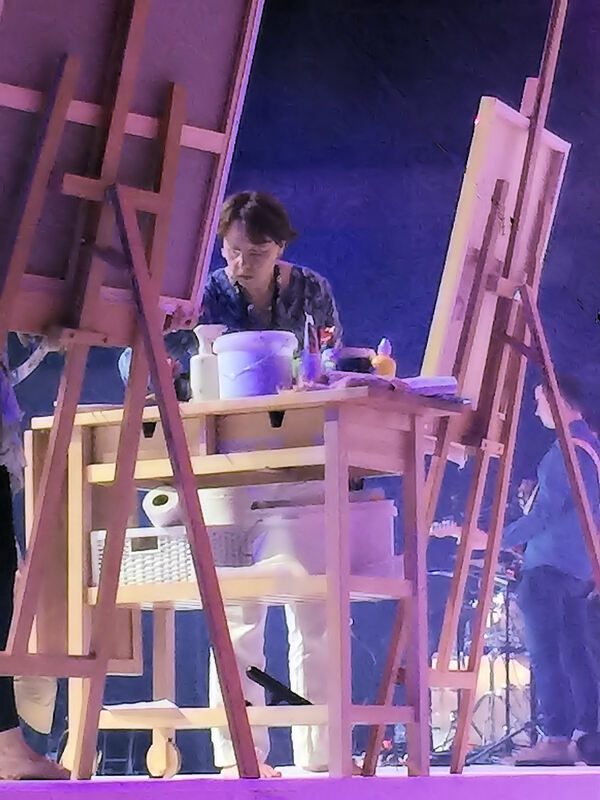 An artist is not just an artist but he or she has received his/her gifts and talents to show the heart of God to the world through the arts.